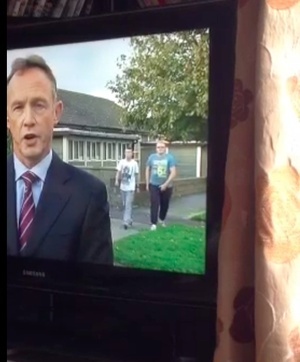 Crime correspondent Paul Reynolds remains oblivious to the lengthy tracksuit billiards taking place mere yards away. Fair play though, in fairness. Get that seen to, in fairness. 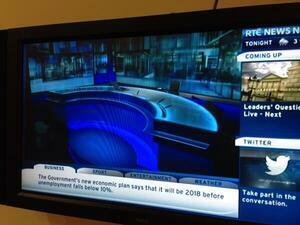 Posted in Misc and tagged Paul Reynolds, RTE News at 10:39 pm on September 10, 2013 by Admin.